Is heaven real? Are we to believe the stories of people who have died but returned to life to tell stories of the great beyond? Aren’t these tales of delusions by people who have been on the brink of death? 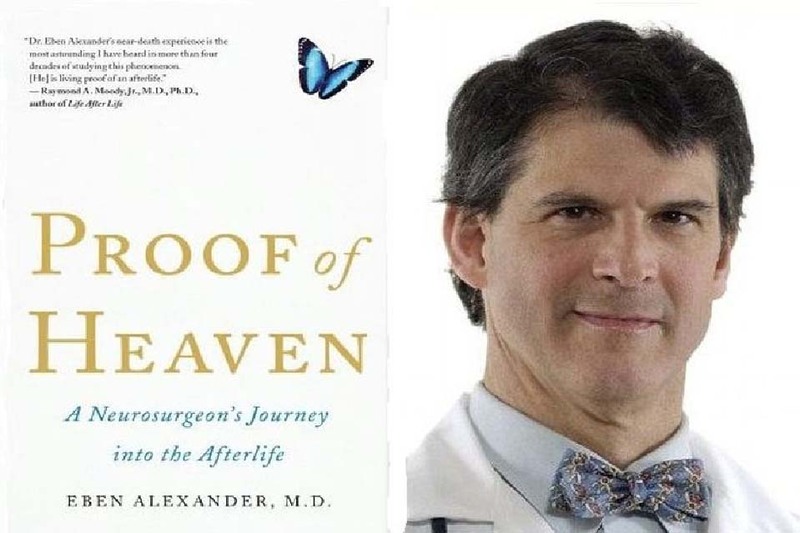 In a book recently published entitled “Proof of Heaven” Dr. Eben Alexander III tells the story of his own near-death experience. Highlights of the book were printed in Newsweek Magazine a few months ago. Due to limited space, I will reproduce Dr. Alexander’s story in his own words but in an abridged form without compromising the facts. As a neurosurgeon, I did not believe in the phenomenon of near-death experience (NDE). I grew up in a scientific world, the son of a neurosurgeon. I followed my father’s path and became a neurosurgeon, teaching at Harvard Medical School and other universities. I understand what happens to the brain when people are near death, and I had always believed there are good scientific explanations for the heavenly out-of-body journeys described by those who narrowly escaped death. Although I consider myself a faithful Christian, I was so more in name than in actual belief. I didn’t begrudge those who wanted to believe that Jesus was more than simply a good man who had suffered at the hands of the world. I sympathized deeply with those who wanted to believe that there was a God somewhere out there who loved us unconditionally. In fact, I envied such people the security that these beliefs no doubt provided. But as a scientist, I simply knew better than to believe them myself. In the fall of 2008, after seven days in a coma during which the human part of my brain, the neocortex, was inactivated, I experienced something so profound that it gave me a scientific reason to believe in consciousness after death. I know how my pronouncements will sound to skeptics, so I will tell my story with the logic and language of the scientist I am. Early one morning in 2008, I woke up with an extremely intense headache. Within hours, my entire cortex – that part of the brain that controls thought and emotion and that in essence makes us human – had shut down. Doctors in the hospital where I worked as a neurosurgeon in Virginia determined that I have contracted a severe and rare form of bacterial meningitis. E. coli bacteria have penetrated my cerebrospinal fluid and were eating my brain. When I entered the emergency room that morning, my chances of survival were very low. And soon sank to non-existent. For seven days I lay in a deep coma, my body unresponsive, my higher brain functions totally offline. Then on the morning of my seventh day in coma, my eyes popped open. There is no scientific explanation for the fact that while my body lay in coma, my mind – my conscious, inner self – was alive and well. While the neurons of my cortex were stunned into complete inactivity by the bacteria that had attacked them, my brain-free consciousness journeyed to another larger dimension of the universe: a dimension I’d never dreamed existed and which the old, pre-coma me would have been more than happy to explain was a simple impossibility. But that dimension – the one described by countless subjects of near-death experiences and other mystical states – is there. It exists and what I saw and learned there has placed me quite literally in a new world: a world where we are much more than our brains and bodies, and where death is not the end of consciousness but rather a chapter in a vast and incalculably positive journey. All the chief arguments against near-death experiences suggest that these experiences are the results of minimal, transient, or partial malfunctioning of the cortex. My NDE, however, took place not when my cortex was malfunctioning but while it was simply off. This is clear from the severity and duration of my meningitis and from the global and cortical involvement documented by CT scans and neurological examinations. According to the current medical understanding of the brain and mind, there is absolutely no way that I could have experienced even a dim and limited consciousness during my time in coma, much less the hyper-vivid and completely coherent experience I went through. It took me months to come to terms with what happened to me. Not just the medical impossibility that I have been conscious during my coma, but more importantly, the things that happened during that time. Toward the beginning of my adventure, I was in a place of clouds - big, puffy, pink-white clouds that showed up sharply against the blue-black sky. Immeasurably higher, flocks of transparent, shimmery beings arched across the sky, leaving long, streamer-like lines behind them. Birds? Angels? These words registered later when I was writing down my recollections. But these words do not do justice to the beings themselves who are simply different from anything I have known in this planet. There were more advanced, higher forms. A huge, booming sound came down from above, like a glorious chant. I wondered if the winged beings were producing it. Thinking about it later, it occurred to me that the joy of these creatures, as they soared along was such that they had to make this noise – that if the joy didn’t come out of them this way, then they could not be able to contain it. The sound was palpable and almost material, like rain that you can feel in your skin but doesn’t get you wet. Seeing and hearing were not separate in this place where I now was. I could hear the visual beauty of the silvery, scintillating beings above, and I could feel the surging, joyful perfection of what they sang. It seems you could not help but be part of it in some mysterious way. Everything was distinct, yet everything was also part of everything else, like the rich and intermingled designs on a Persian carpet – or a butterfly wing. Stranger still was that for most of my journey, someone was with me, a young woman. She had high cheekbones and deep blue eyes. Golden-brown tresses framed her lovely face. When I first saw her, we were riding along on an intricately patterned surface, which, after a moment I recognized as the wing of a butterfly. In fact, millions of butterflies were around us, fluttering and dipping down into the woods and coming back around us again, like a river of life and color, moving through the air. The woman’s outfit was simple, like a peasant’s, but its colors – powder blue, indigo and pastel orange-peach – had the same overwhelming, super-vivid aliveness that everything else had. She looked at me with a look that would make your life worth living. It was not a romantic look. It was not a look of friendship. It was a look that was beyond all the compartments of love we know on earth. It was something higher, holding all those other kinds of love within itself while at the same time being bigger than all of them. Without using any words, she spoke to me. The message went through me like a wind, and I instantly understood that it was true. I knew and understood that what I am experiencing is real – not some fantasy, passing and insubstantial. The message flooded me with a vast and crazy sensation of relief. It was like being handed the rules to a game I’d had been playing all my life without fully understanding it. To this, I had only one question. Back where? Where is this place? Who am I? A warm wind blew through like some kind of spring, tossing the leaves of the trees and slowing past the heavenly water. A divine breeze. It changed everything, shifting the word around me into an even higher octave, a higher vibration. Where am I? Who am I? Why am I here? Every time I silently put one of these questions, the answer came instantly in an explosion of light, color, love and beauty that blew through me like a crashing wave. Every blast silenced and answered my questions in a way that bypassed language. And as I received them, I effortlessly and instantly understood concepts that would have taken me years to grasp in my entire earthly life. I continued moving forward and found myself entering an immense void, completely dark, infinite in size, yet also infinitely comforting. Though pitch-black, it was also brimming with light that seems to come from a brilliant orb I sensed near me. The orb was a kind of “interpreter”between me and this vast presence surrounding me. I sensed it was somehow connected with or identical to the woman on the butterfly wing. Later, when I woke up, I found the quotation by the 17th-century Christian poet Henry Vaughan that came close to this magical place, this black inky core that was the home of the Divine itself, ‘There is, some say, in God a deep but dazzling darkness…’ That was it exactly: an inky darkness that was also full to brimming with light. What awesome, indescribable mysteries are in the kingdom of the Divine? What magical place, what beauty, grandeur and joy await Dr. Alexander as promised by the beautiful lady who said to him, “We will show you many things here”? What more lies there in the kingdom of the Divine? Dr. Alexander did not continue to say more in the short article in Newsweek but if the journey towards the Divine was so awesome and exhilarating, to say the least, what awaits us in Paradise? What we have read above surely stirs our curiosity and imagination. It is an invitation to read his entire book, “Proof of Heaven”. Can consciousness exist when the body fails? Yes, I have seen it first-hand. During the seven days I was in coma, my entire cerebral cortex was shut down. Yet in spite of the complete absence of neural activity, I underwent the most staggering experience in my life with my consciousness traveling to another level, or dimension or world. I have weathered considerable criticism, especially from people who are appalled that I, a brain surgeon, could make possible the claim that I experienced what I did. Most scientists accept the dogma that the brain produces consciousness. I certainly did, but after my NDE, we don’t really have real proof of this at all. There are many established facts in science that we haven’t really placed our hands on. No one has ever seen an electron nor touched the force of gravity. When a brain has no neural activity, we say it is brain dead and therefore consciousness is completely shut down. That was also my scientific belief before I became brain dead. However, my experience has now changed my former conviction. What happened to me convinced me that there can be consciousness even when brain activity is shut down. What is that consciousness outside the mortal body? Isn’t it obvious that it is the consciousness of the spirit, of the soul, which no kind of science can delve into or even remotely understand? Click here to return from Proof of Heaven to Catholic Spirituality.